Mandarin learning program online: Beginner Series 3, Lesson 4–Can you play Tai Chi? Chinese Video Courses >> Beginner Chinese Series 3 >> You know how to play Tai Chi? You know how to play Tai Chi? Introduction: Useful expressions and culture related to Tai Chi in China. We can use “S+会+V(O)” to indicate having acquired a certain kind of skill through learning, and use “S+(不)会+V(O)” to indicate not possessing a certain kind of skill. Do you still remember the amazing showing of Tai Chi Chuan during the opening ceremony of the Beijing Olympics in 2008? Today, let’s learn a little about Tai Chi Chuan. Tai Chi Chuan, which has a very long history, belongs to the big family of Chinese martial arts. It has several distinctive features. Tai Chi Chuan requires you to respond to motion with motionlessness and to wear away the rock with water. It's said that the practice of Tai Chi can cure illness, help you to keep fit, cultivate the body and mind, improve your intelligence, and stimulate your spirit, thus making it a very popular hobby. Today, Tai Chi Chuan is popular all over China. It is even included in university curriculums. Of course, Tai Chi Chuan is also becoming popular outside of China. People in Europe, America, South and East Asia, Japan and other countries all practice Tai Chi Chuan. 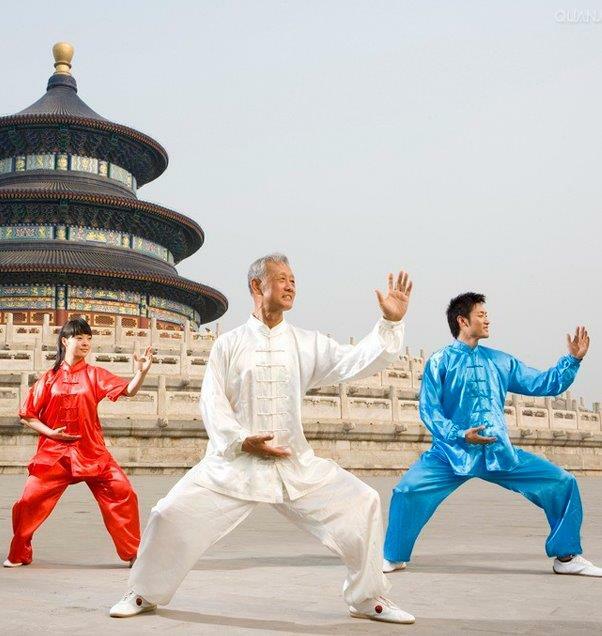 Many countries have also established Tai Chi associations that communicate and organize activities with China. Could you share some interesting or amusing things that have happened to you while learning Chinese with us? is there any other words in chinese to cover the verb CAN?? For example when we use CAN to ask permission (can I go to the bathroom?) or others? 我(wǒ)可以(kěyǐ)去(qù)厕所(cèsuǒ)吗(ma)？ Can I go to the bathroom?